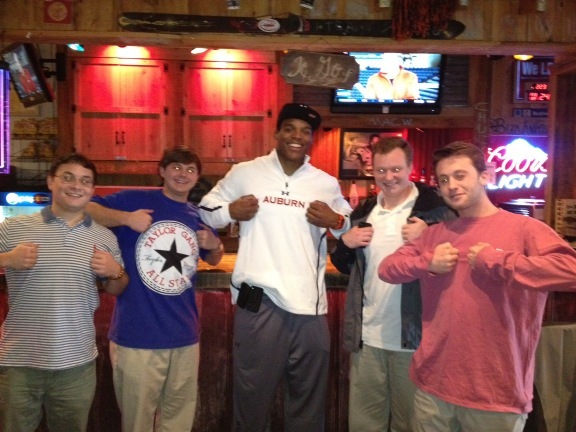 They said Cam wouldn’t come back to Auburn. Who said? I don’t know. They said. But he has come back. And dude is hungry. Rumors of the Blessed Individual’s gastronomic adventures have been lighting up Twitter for the past 48 hours. Cam’s at Niffer’s. Cam’s at McDonald’s. 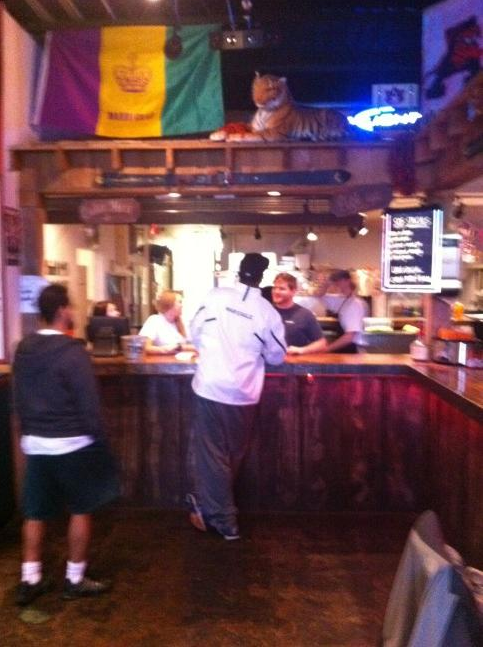 Where there is food in Auburn, there is Cam in Auburn. And yet no photos? Cam’s elusive, but Lord, surely not that elusive. Was it all a hoax? No hoax. Because Cam today wanted BBQ. And he headed to Moes on Magnolia. And finally, finally, finally—photos. And oh, what a nice photo it is. Just SuperCam being SuperCam. UPDATE: And he went back to Wright’s Mill Road Elementary School, as promised. we miss ya cam cam!!! Cam also visited Wright’s Mill Road Elementary School today. War Damn Cam!!! We must know what he ate.